Yes, it's that time of year again! Goundhog Day! 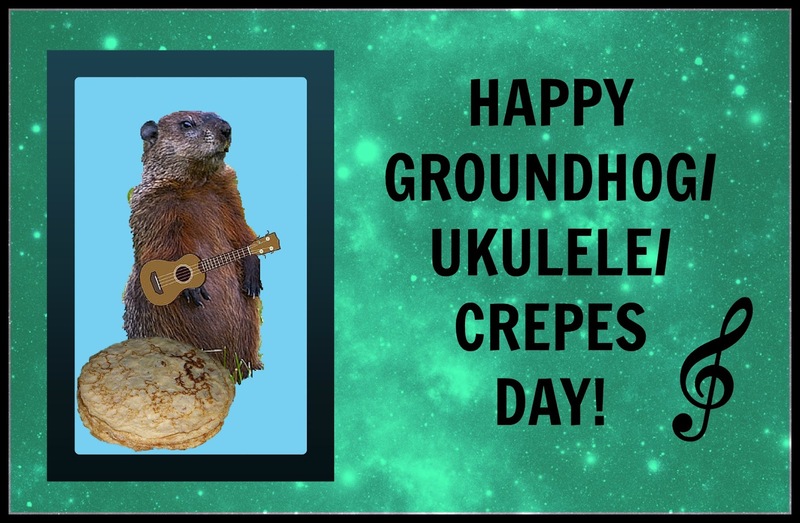 But also Day of the Crepe...and Play Your Ukulele Day??? The groundhog didn't see his shadow so they say winter is over and it's never really started here. That is awesome. You win at photoshopping. Return of BBAW! Day 1: Hello...It Me!